This is great. Maybe I'll post mine too. Mine is just...Chaotic. Cool. I like the ship and the dino's. I really dig the InGen mug as well. Loving the human rights campaign equality sticker you have! That's quite an audience you have there. Do they pay rent or are they just freeloading off your reverence for equines? If they paid rent, I'd have more tenants. Let me clean mine first, and I'll get back to you guys. 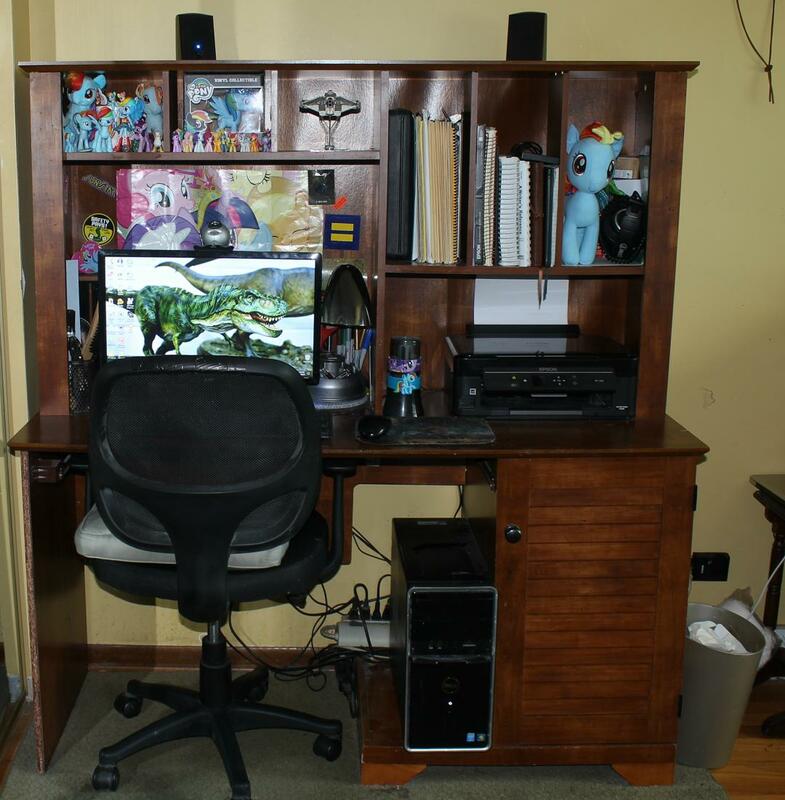 I actually don't have a big desk set up in my apartment, but I'm looking to get a new one, and I'd look to do something like CT has up there. I hate to be the guy to bring this up, but on the main page, this thread reads as "Post A Picture of your D..."
I mean, if curiosity gets people in here. Gotta get that female membership to rise. 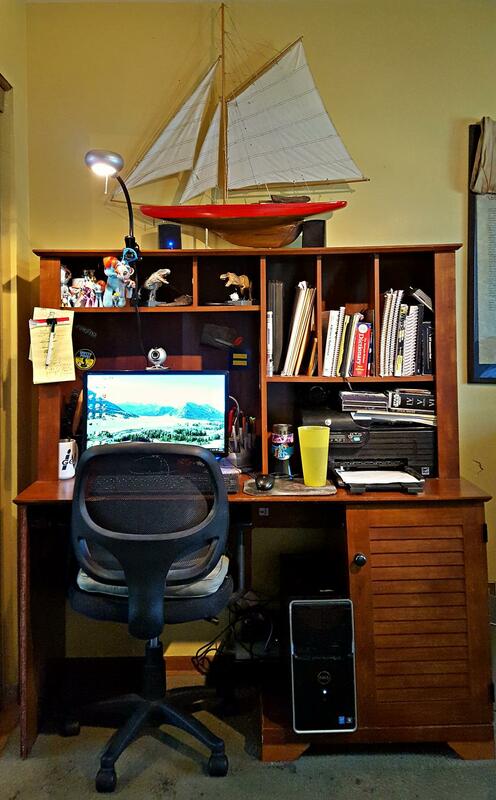 Subject: Re: Post A Picture of your DESK!